I hope you are having a fabulous day so far… Now, before you continue reading, grab a cup of tea because blogs are always better over tea! Ok, got your cuppa? Great! So, recently I had the privilege of speaking at a gathering of women in our city. 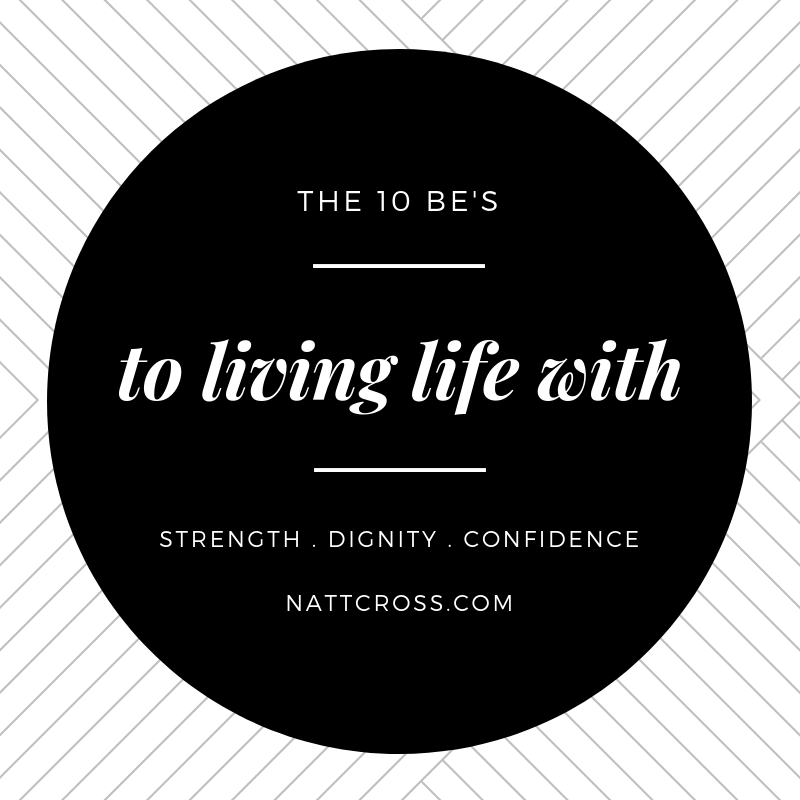 At the end of my encouragement to the group of amazing women, I finished with what I call the 10 Be’s – well there was actually 11, but 10 just sounded better! Anyway I shared with them the 10 Be’s of living life with strength, dignity & confidence. And now, I thought I would share them with you. At the end of each “Be”, I have included some scripture references for you. If you have a bible I encourage you to take the time to look these up. If you don’t have a bible, you can always look the verses up on google! I will also be posting a weekly graphic each Tuesday on my social media pages for the next 11 weeks focusing on the 10 Be’s. Consider it a weekly encouragement from me to empower you to live life with strength dignity & confidence. Know who’s you are – son’s & daughter’s of the King! Make whatever changes you need to, whether it is in your thoughts, words or actions and start living out the 10 Be’s and just wait and see what happens in your life once you do. I would love to hear your thoughts on this blog, so feel free to leave a comment here or on my social pages.